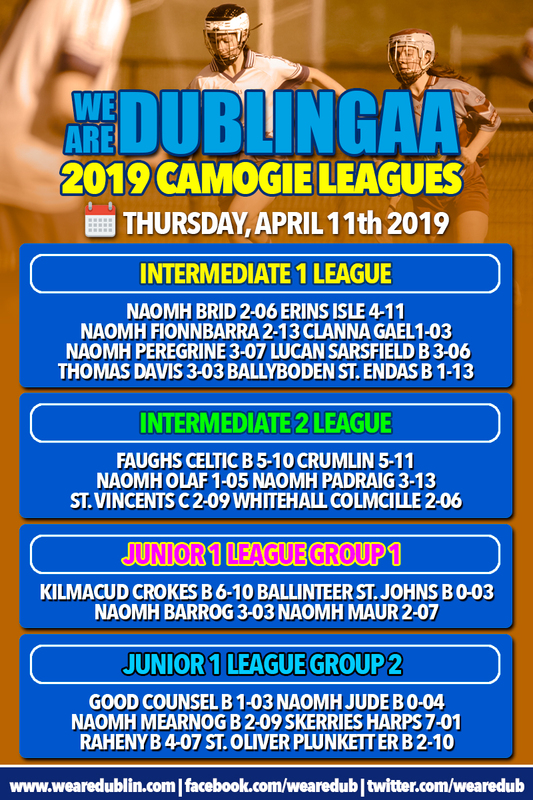 Another night of games completed and all of this years division in the We Are Dublin Senior Camogie League are up and running. Some are further along than others but from next week we’ll have a layout to follow for each league. Tuesday’s will be Senior 1, Senior 2, Junior 2, Junior 3 and Junior 4. On Thursday’s the action will be supplied from Inter 1, Inter 2 and Junior 1. Round 3 of the Inter 1 League tonight saw Erins Isle and Ballyboden St. Endas continue their unbeaten run. Isles took on Naomh Brid and came away 4-11 to 2-06 winners. While Ballyboden registered a 1-13 to 3-03 win at Thomas Davis. Naomh Peregrine came back from a bye week to beat Lucan Sarsfield by a solitary point on 3-07 to 3-06. And Naomh Fionnbarra got their first win of the competition as they were victorious over Clanna Gael Fontenoy on a 2-13 to 1-03 scoreline. Group 1 of the Junior 1 league saw Kilmacud Crokes put 6-10 past Ballinteer St. John’s in a convincing win. And one point seperated Naomh Barrog and Naomh Maur tonight, with Maurs coming out the winners by 2-07 to 3-03. Finally in Group 2 of Junior 1 Good Counsel, Skerries and Raheny all picked up opening night wins. Counsel were 1-03 to 0-04 winners over Naomh Jude. Naomh Mearnog were no match for Skerries who scored 7-01 to Mearnog’s 2-09. And Raheny put in a good shift at home to beat St. Oliver Plunkett Eoghan Ruadh by 4-07 to 2-10. 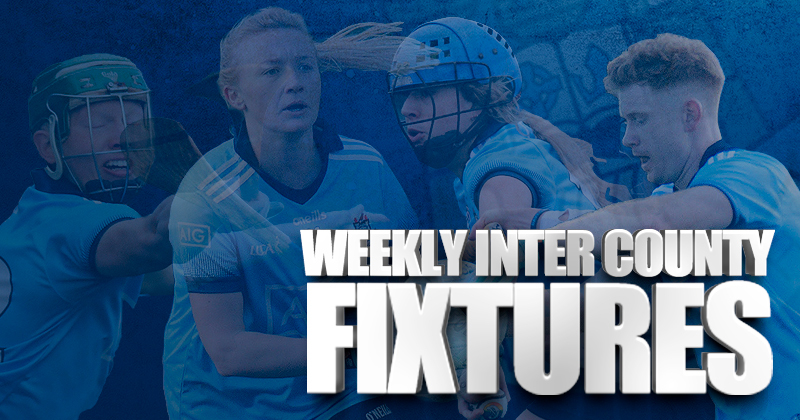 Be sure to tune in next week for more league action from around Dublin.